Prime Minister of Sri Lanka Mahinda Rajpakasa has resigned from his post after being unable to use his powers after the Supreme Court’s order today. The Court couldn’t give full functioning authority to Rajapakasa unless his case is being heard. The apex court also pointed out that the dissolution of the Parliament by President Maithripali Sirisena was not legal. Inspite of having bitter relations, Sirisena will have to reinstate Ranil Wickremesinghe as the next Prime minister. Wickremesinghe has the support of 117 lawmakers. It has been decided by Ranil’s United National Party (UNP) to perform the oath ceremony on December 16. 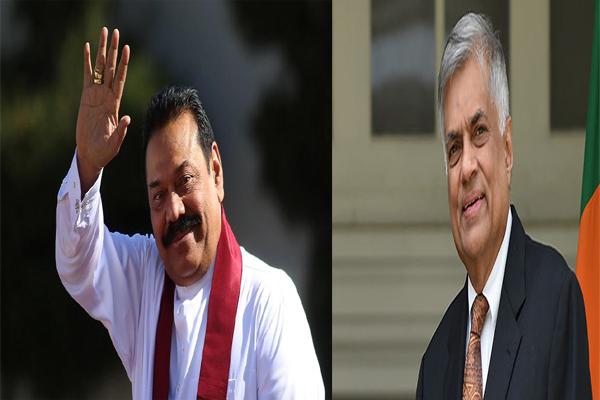 Wickremesinghe had been forcefully ousted from Prime Ministership on October 26 this year by the Sri Lankan President. And, Rajapaksa was forcibly instituted as the PM. Later, Mahinda Rajpakasa had failed to prove majority in 225-member assembly on November 14 and 16 but still didn’t gave up the Prime Minister’s chair. The Supreme Court has stated a Court of Appeal order has been filed against Rajpakasa and his associates. In return, Rajapakasa filed a petition which will be taken up by the Court in the month of January. Rajpakasa’s councilman Lakshman Yapa Abeywardena invited Sirisena to elect the new PM. Abeywardena stated, “Unless the prime minister resigns, another prime minister cannot be appointed. But the country needs to face situations that it needs to face in January; a country cannot function without a budget”.